Today I visited Purnell hall at the University of Delaware and presented to their Alpha Phi Omega chapter about my 3B project. I didn’t know what to expect. Last time I was on campus I presented to a group of about 10 people in a small conference room. So I was thinking it might be like that, but I was wrong! 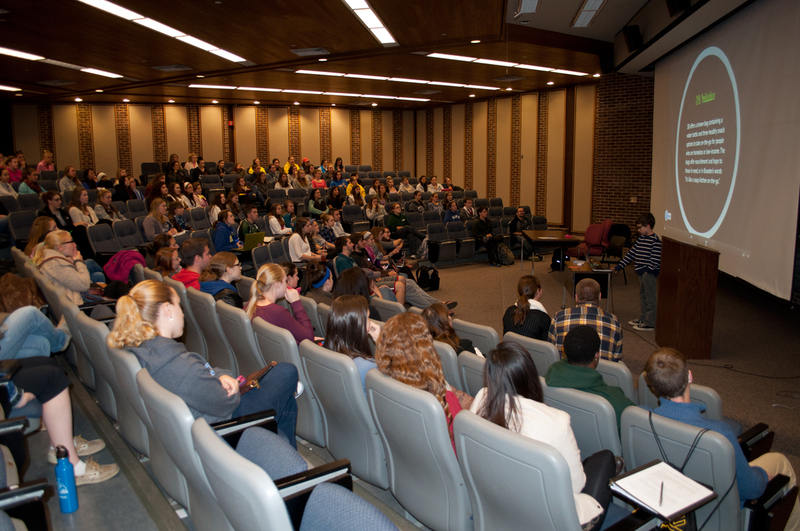 Room 115 in Purnell Hall was an auditorium! Before I walked in there were girls sitting there who already knew who I was and said they love what I am doing! There were over 100 people there to hear me talk. It was really cool and I thought it was amazing how there were so much people in that auditorium. The guy who coordinated me being there said that there were even more people who wanted to come but they couldn’t. When I was done talking they all clapped for me and I can still hear them clapping if I think about it. When I was leaving some of the students told me I did a really good job. They want me to come back on November 17th for a bag packing event which sounds like it will be a lot of fun. I’m going to bring my 3B stickers for the bags. Even when we drove home I told my Mom I was still nervous, but it was already done. Can you believe it? They were so proud of me but I was just excited they want to help and that they like what I said! 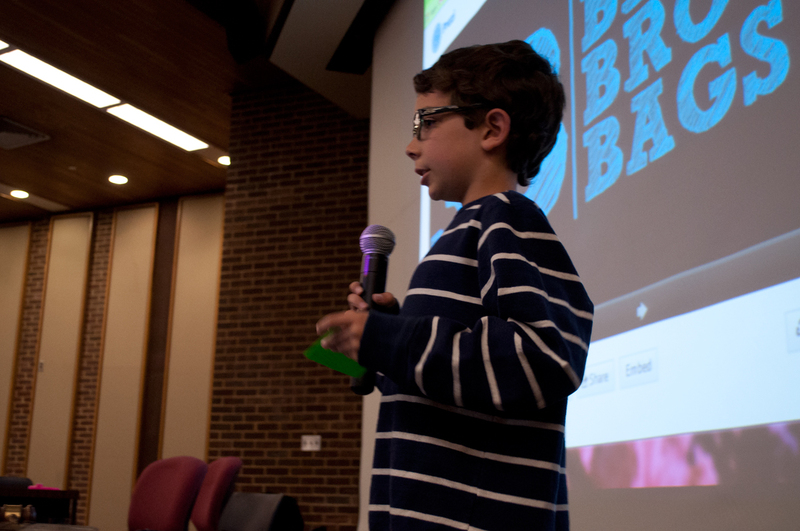 Brae, it sounds like you did a remarkable job speaking to the group at the University! I am very proud of you!!! Good luck on November 17th with the bag packing event. If you need any help, please let me know. Love you to the moon and back, Gram. congrats Brae, a job well done ! We loved having you Braeden!! You did a fabulous job presenting and I cannot wait until you come back! You are doing an amazing thing starting this organization and you are a very inspiring young man. Thanks for presenting to us! !